Signed into law in 1965, Title I, a part of the Elementary and Secondary Education Act (ESEA), is the largest federally funded program in education. While Title I has gone through many changes since it began, it continues to provide additional instructional support for students experiencing academic difficulty aside from their daily instruction. 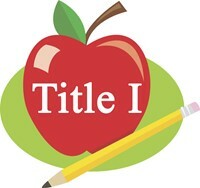 Title I was designed to provide financial help to schools with high numbers and/or percentages of children from low-income families in order to address their academic needs. The purpose of Title I is to ensure that all children have a fair, equal, and significant opportunity to obtain high-quality education.